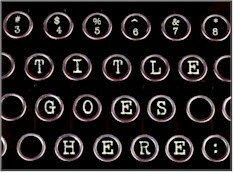 www.titlegoeshereonline.com is having technical issues, so we’ve moved back into our old home temporarily. Thanks for making the move with us! We’re not sure how long we’re going to be staying here, so not sure just yet how much updating this site is going to get, but any news and immediately relevant information will all be posted. Major Announcement – Site Moving! Subscriptions! New Site Coming! Stuff!